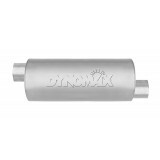 DynoMax ® Super Turbo ™ performance mufflers exclusive flow director design channels exhaust flow and eliminates turbulence on most applications. 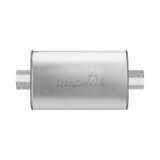 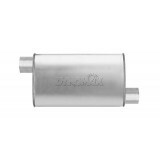 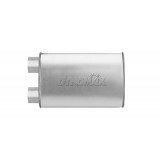 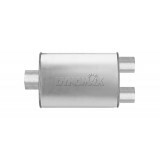 The large internal flow tubes improve exhaust flow and reduce backpressure. 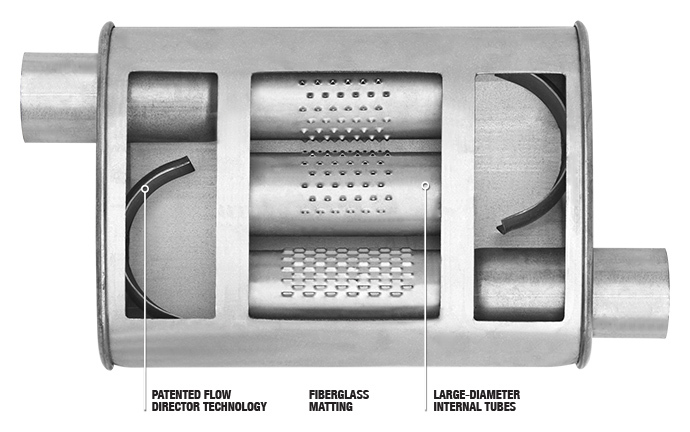 Each muffler uses fiberglass matting technology to absorb unwanted interior resonance while maintaining a mellow performance tone. 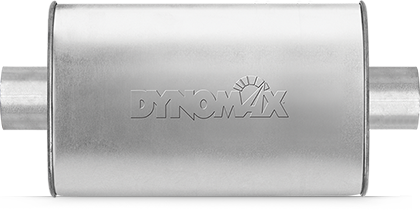 The "Pure Unadulterated POWER" of DynoMax® Super Turbo™ mufflers are backed by a Limited Lifetime Warranty and exclusive 90-Day Performance & Sound Guarantee™.